What's Next After Scuba Rangers? Scuba Rangers is our first program designed to accustom students to the equipment, skills, knowledge, and experience necessary to scuba dive comfortably in our pool. Students that wish to continue their diving education may do so by choosing from any of our additional classes that we offer. At Denver Divers we offer multiple choices of children's programs both during summer and the school year. Additionally, Custom / Private classes can be set up any time. 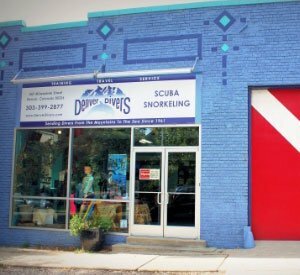 Specialty Rangers is a new program for Denver Divers. It is designed to challenge both certified Junior Open Water divers and graduated Scuba Rangers to learn and do more with the skills and knowledge they have accumulated. Specialty Rangers does not lead to any certification unless it is one that is allowed under SSI standards. An ROV is essentially an underwater submarine that students will be able to build and modify using simple materials that can be acquired at a home improvement store. ROVs are built and then tested in a variety of different challenges. 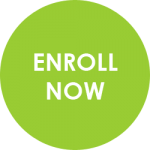 The class offers a wealth of hands-on activities, aligns with national science standards, and offers many additional opportunities for further exploration and challenges upon course completion. GoPro cameras are lightweight, versatile, and capable of producing some amazing footage. In this class, students will learn how to operate the camera and its many features. They will also splash in our pool with gear and learn the value of a steady hand and which settings work best in the water environment. Finally, students will learn how to upload their videos and edit them into beautiful videos. Once a month, we put together a special evening program for our Rangers. Each program varies on the content, speaker, and activities that are available. Watch the newsletter for updates for our latest Event Night. Once your child is of 10 years of age, they may opt to enroll in our Rangers Plus / Junior Open Water Program. This program presents the same material as our open water certification course, but is geared towards youth. Once certified, a Junior Open Water Diver will have all the privileges as a traditional diver but with a depth restriction of 60 feet. Once the student has reached 15 years of age, they may upgrade their Junior Open Water certification to an Adult Open Water certification upon the completion of a Scuba Skills Update class.